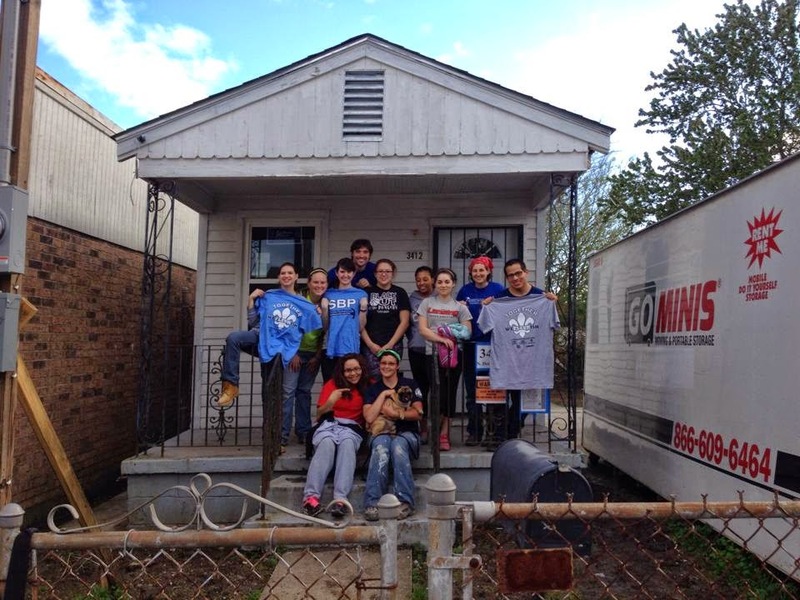 After surviving our fifteen hour van ride from Leavenworth, Kansas, ten of us from the University of Saint Mary arrived at the House of Charity in New Orleans. Four religious sisters from different Sisters of Charity congregations welcomed us to share life with them for a week. This house’s mission is to be a place for service groups like ours to not only stay but experience the Sisters of Charity shared Vincentian spirituality. The house quickly became home for us because of the sisters’ warm hospitality. A typical day would include eating breakfast, packing a sack lunch, morning prayer, a morning outing or tour, working at our Saint Bernard Project House, and coming home for a hot shower, a delicious meal, and an evening reflection about our day. Taking a tour of the 9th ward and the Katrina Museum, it really hit home that even 10 years after Katrina there are still so many displaced families. During our Saint Bernard Project (SBP) orientation, we learned there are still over 6,000 families still wanting to return! 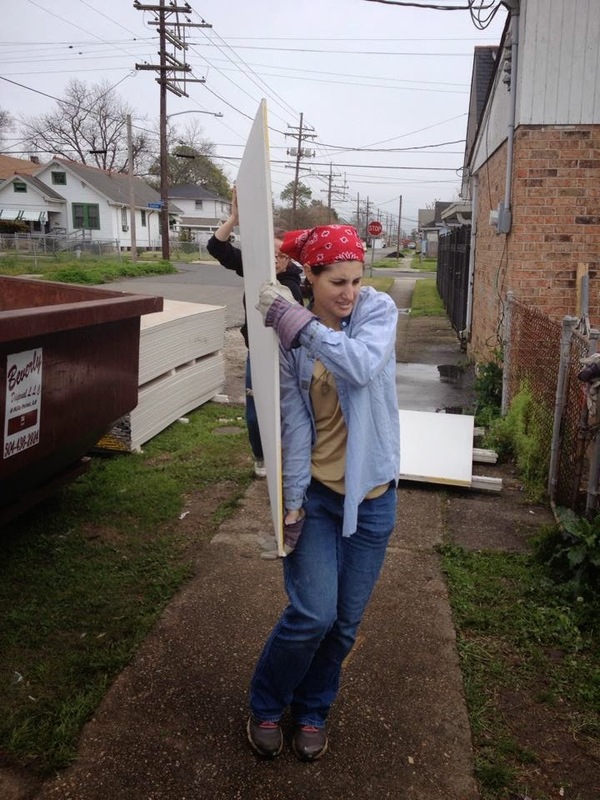 Through SBP, we spent five days installing insulation and dry wall in a woman’s family home. This was hard work but we certainly felt a sense of accomplishment seeing the walls of her rooms taking shape and knowing we helped her get one week closer to coming back home. We also spent time with Sister Julie Marsh and Sister Mary Lou Specha who are creatively starting a new ministry called “Hotel Hope”. In light of a huge percentage of homeless women and their children, Hotel Hope will provide housing and support services. Besides service work, we explored the French Quarter and partook of the city’s famous cuisine and culture. It quickly became apparent that the people of New Orleans are vibrant, resilient, and radiate a warmth to all New Orleans visitors. These are people who have known what it is like to live through a Good Friday experience and still have Easter hope and joy as the rebuilding continues.